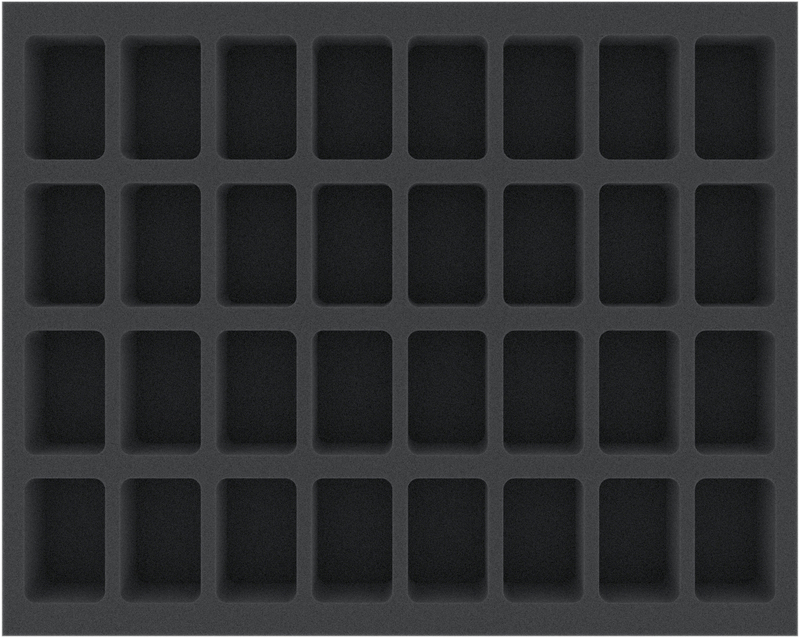 45 mm high Feldherr Full-Size foam tray with 32 compartments. 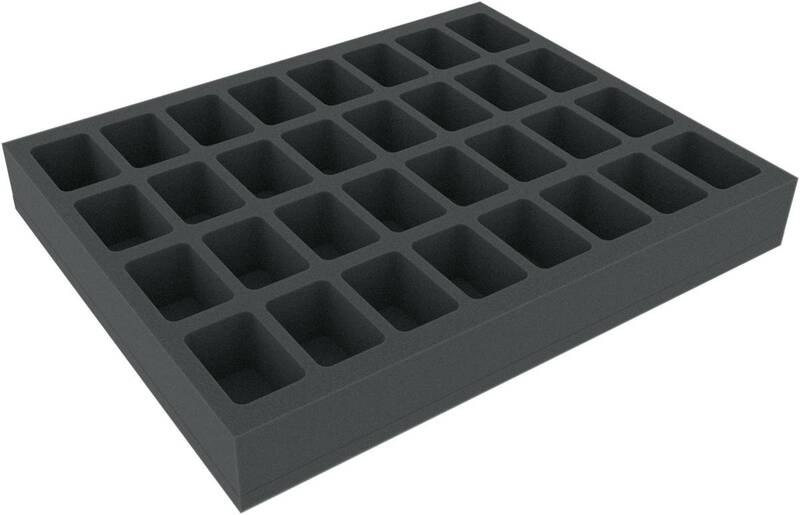 Universal-cut compartments provide optimum protection for various miniatures. Each of the 32 compartments is 35 mm long x 54 mm wide x 35 mm deep.